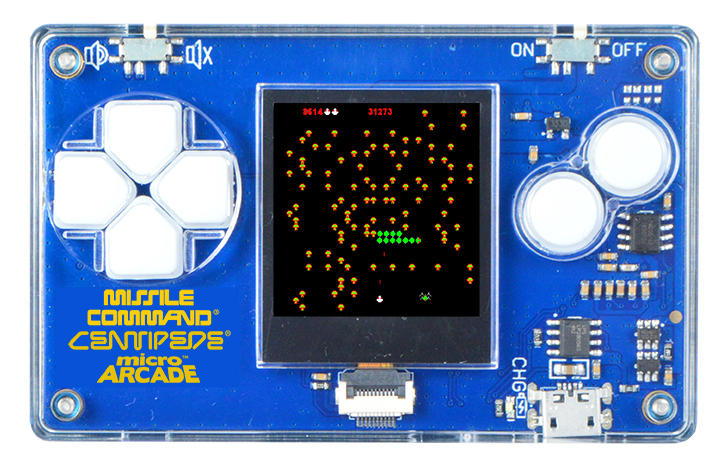 Miniature iconic arcade games are now available from Super Impulse. Retro Arcade Games the size of a credit card! 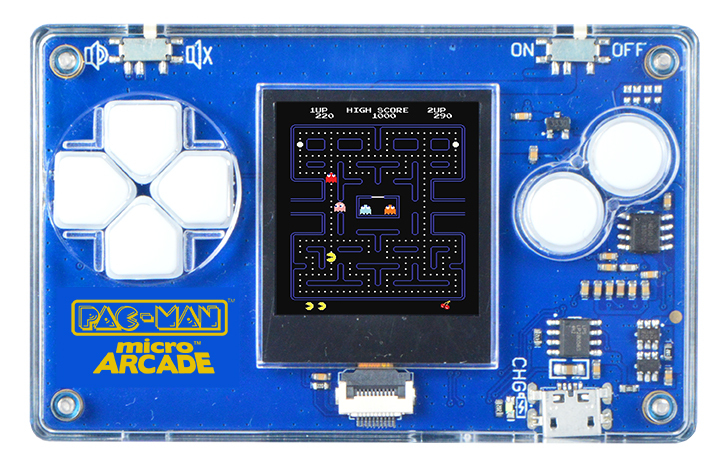 Play Micro Arcade in the palm of your hand. Now available in an incredible compact credit card size! 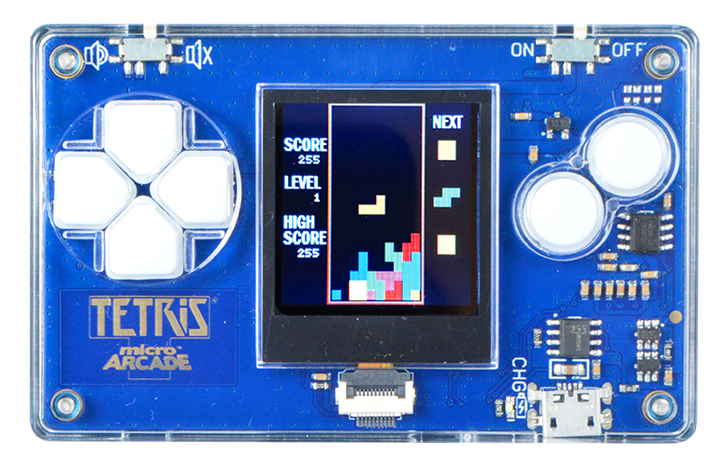 Measuring only 3.25” x 2” x 0.375”, Micro Arcade is the ultimate travel game and easily fits in your pocket! Each game comes with a full color screen, cool sound effects, and directional control buttons, with a micro USB charger included. This fast paced puzzle game will keep you on your toes! As the Tetrimino shapes fall from the top of the Matrix, you must arrange them to make horizontal rows of blocks in order to clear lines. As you increase your skill, so does the pace of the falling Tetriminos. If your stack reaches the top of the Matrix, it’s game over! This classic arcade video game plays just like the original. Collect all the Pac-Dots and fruit, but watch out for ghosts! Blinky, Pinky, Inky and Clyde are out to get Pac-Man! Three incredibly popular Atari games from the ’80’s are now available in one incredibly tiny game card! Play Missile Command, Centipede plus one surprise bonus game!